For a brief introduction to RailTEC, watch our short video. 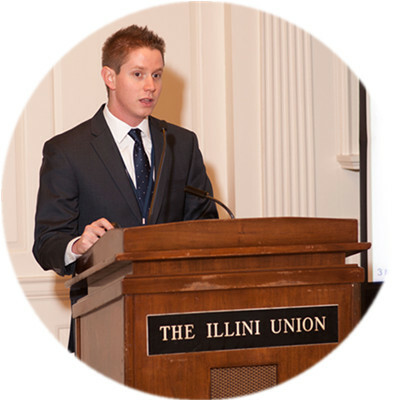 Add your story to the over 100-year legacy of railroad engineering at Illinois! Alumni of the railroad engineering program at the University of Illinois have a long tradition of occupying senior engineering positions at major railroads, consulting firms, government agencies and research organizations. Our current generation of graduates are rapidly progressing to positions of increasing responsibility and have been identified as rising stars by railway industry publications. RailTEC is constantly on the lookout for motivated students become the railroad engineers of the future. Besides our course offerings in rail transportation, RailTEC provides opportunities for both undergraduate and graduate students to expand their knowledge of railway engineering concepts through involvement in RailTEC research activities. Active student participation in research facilitates experiential learning and the development of skills directly applicable to successful future careers in the rail industry.There are a variety of RailTEC research opportunities available for undergraduate and graduate students at Illinois in the laboratory, field and office environment. In the laboratory, students work with a variety of loading equipment and instrumentation to conduct tests on new track components under controlled conditions. Students also actively participate in field research at the Transportation Technology Center in Pueblo, Colorado or various “super sites” on key North American railway mainlines where instrumentation is installed to collect data on track performance under actual service conditions. Once field and lab data is collected, teams of students process the data and use statistical software to analyze and interpret the results. Other students use these results to construct, calibrate and validate finite element analysis models of the track structure system and develop new mechanistic approaches to track design. RailTEC students are also investigating broader system and network-level engineering challenges that can only be addressed through simulation and data analysis. Students use train operations and dispatch simulation software to investigate the ability of the rail network to support increased freight rail demand and more frequent higher-speed passenger trains. Other students conduct statistical analysis and modeling activities on train accident and derailment data to support railway safety and risk research that ensures the safe and efficient movement of good and people by rail. RailTEC actively supports undergraduate student participation in rail research activities. Since most rail courses require junior or senior standing, undergraduate research is an excellent way for students who are interested in rail transportation to become involved with RailTEC earlier in their college. It also affords an opportunity for students to learn more about the rail industry before being faced with important decisions on technical electives and future career paths. Many undergraduate students working with RailTEC are supported by the CEE Department “Research Experience for Undergraduates” program. Through the REU program, undergraduate students are paired with RailTEC faculty who together develop a one-semester research scope that requires 10 hours of research work per week. For their research effort, the undergraduate student receives $1,500 for the semester. To read about the experience of a recent RailTEC REU, click here. Much RailTEC research is executed by full-time MS and PhD students under direction of their RailTEC faculty advisor. 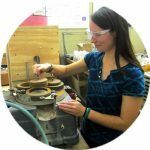 Each semester, RailTEC has opportunities available for new Graduate Research Assistants to support various railway research activities. 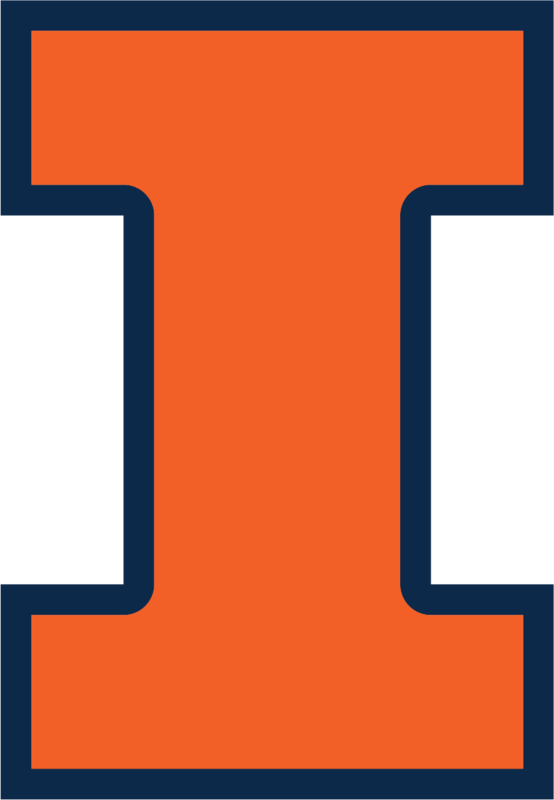 Graduate RAs can be awarded to students who are newly admitted to grad school at Illinois or to students who are currently enrolled but not supported by other faculty. In addition to paid research, a Graduate RA has the additional benefit of providing the student with a tuition waiver. Many RailTEC RA’s turn their supported research work into their thesis or dissertation work. Graduate RA’s also develop important skills in time, project and resource management that will serve them well in future careers. Students interested in pursuing an advanced degree with an interest in rail transportation who are self-motivated, detail-oriented and enjoy working in a team environment in the lab, field or office should contact the RailTEC faculty to discuss potential opportunities. When applying to the CEE graduate program, be sure to indicate your specific interest in rail transportation. More information on the application and admissions process for Prospective Students can be found here.